Individual desings according to drawing. Let us know your requirements . Small quantities (single foils or rods) in special packing. If you would like to buy tantalum resp. semi-finished tantalum products or find out our current tantalum price please contact us. The tantalum supplied by us originates from South American, Chinese and Australian ores resp. from recycled capacitors! The major use for tantalum is for very small capacitors with a high capacitance. 60% of the tantalum was used for the production of capacitors in 2007. These tantalum electrolytic capacitors are needed everywhere in modern microelectronics, for instance for mobile phones and in automotive engineering. 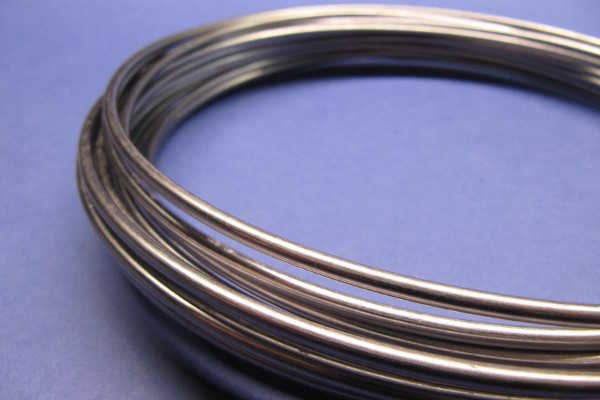 The effect is based on the tantalum oxide layer on the surface of the coiled tantalum foil which is stable and safely isolating even on very thin foils. 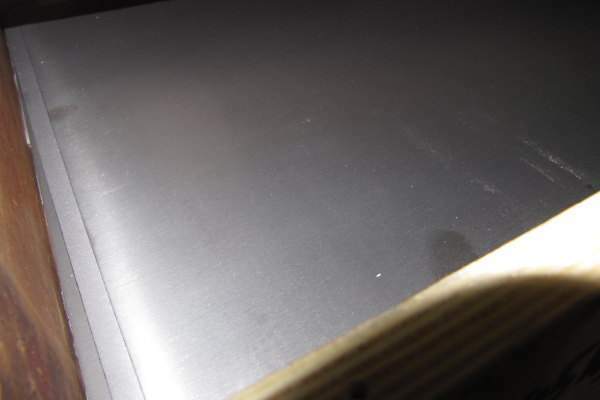 The thinner the layer between the electrodes the higher is the capacity with an unchanged foil area; in addition tantalum oxide has an extremely high permittivity which also increases the capacity. 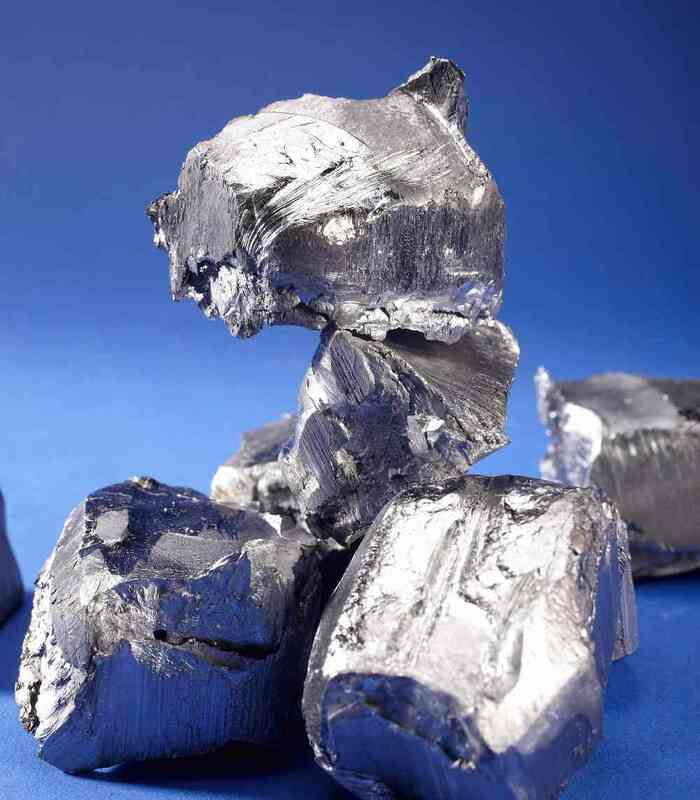 As tantalum is non-toxic and does not react with body tissues or bodily fluids elementary tantalum is used for medical implants and instruments. Bone pins, prostheses and jawbone screws are for instance made of tantalum. Due to its high costs it is only little used as radio-opaque substance. In the chemical industry tantalum is used because of its consistency. It serves as lining material for reaction tanks and is used for heat exchangers and pumps. 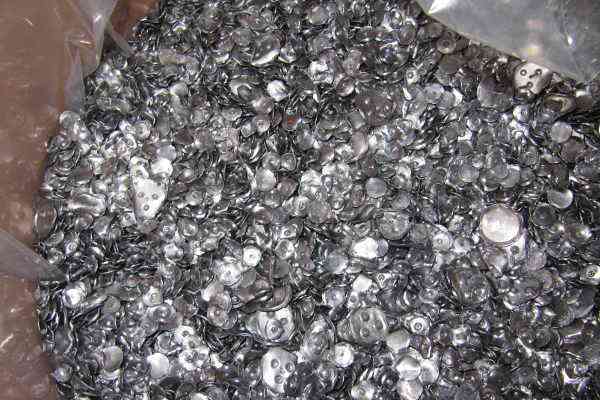 For these purposes not a pure tantalum but alloys containing 2.5 – 10 % tungsten is mainly used. This alloy is more stable and resistant than pure tantalum and besides the desired ductility is maintained. Further applications are laboratory equipment, spinning nozzles and cathodes of electron tubes. Here tantalum benefits from its capability to absorb up to 740 parts by volume of gases at 800 °C, which ensures a high vacuum in the tubes. Superalloys which are used in the construction of turbines and aircraft engines contain up to 9% tantalum. The addition of 3 – 4% tantalum to a nickel superalloy increases the strength of the material at high temperatures. Tantalum has a very high melting point of 2996 °C and features a good formability with a high hardness. The most important tantalum property is its excellent resistance to corrosion. Most of the tantalum characteristics are closely related to the purity of the tantalum metal. In addition to the use in capacitors, tantalum alloys for hard metal and tantalum-containing superalloys, tantalum replaces also partially the much more expensive platinum in the production of heat- and corrosion-resistant hard instruments and equipment (also tantalum sheets, tantalum tubes, tantalum wire etc.). With a content of 2 ppm in the continental earth crust resp. 8 ppm in the geosphere tantalum is a rare element on earth. Its abundance may be compared with that of arsenic and germanium. Within the group of elements the abundance decreases by one power of ten each. Tantalum does not occur in massive form but only in form of its compounds in various minerals. Due to the similarity of both elements tantalum ores contain always niobium and vice versa. The most important minerals are those of the columbite- and tapiolite series which form a group with various other similar minerals. In 2012 the most important extraction areas for tantalum ores were in Africa, China and South America. One assumes a worldwide tantalum production of 1.300 – 1.400 t in 2012. Known through the media were the occurrences in the East of the Democratic Republic Kongo which were embattled severely in Kongo war 1996 – 2008. Because of ethical and political considerations the USA strictly limited the use of tantalum of this origin by the Dott Frank Act. The element was discovered in a Finnish columbite ore by Anders Gustav Ekeberg in 1802. It is named after Tantalos, a character in Greek mythology. Ekeberg gave the element this name because the hightly resistant oxide is “forced to yearn, and is unable to quench its thirst, just like Tantalus in the underworld”. Almost at the same time Charles Hatchett found in a Columbian ore the very similar columbium. Both elements were regarded as identical until 1844, when Heinrich Rose found out that two different elements were present in the columbite ores, i.e. tantalum and columbium, the latter of which he named niobium. After the discovery of the new element two different chemists tried to isolate tantalum also as an element. The first one to produce elementary tantalum by reduction of tantalum fluoride with potassium was Jöns Jakob Berzelius in 1815. However, his metal, like the one isolated by Rose, did not contain 50% of tantalum. In 1902 Henri Moissan tried to produce tantalum in an electrical furnace but due to the contained carbon the product was very hard and brittle. The first one who was able to produce pure ductile tantalum was Werner von Bolton in 1903. This was achieved by the reduction of the glowing oxide in a vacuum and by melting impure tantalum metal in an electrical flame arc in a vacuum. The first application of the new element was as filament in electric bulbs. The reason for a change from the previously used osmium was the easier workability of tantalum and its higher possible utilization temperature of up to 2300 °C. Later it was replaced by tungsten which has an even higher melting point, thus a spectrum more closely resembling that of sunlight and providing a higher luminous efficiacy. With the use in rectifiers and one year later in radio tubes a new application for tantalum was found in 1922.